What is the typical structure of a business combination involving a publicly traded real-estate owning entity? private agreement (ie, a rural partnership agreement, a special partnership agreement, or a surface rights deeds). In the recent years there has been an increase in private agreements, especially surface rights deeds and special partnership agreement structures, in order to develop new business in Brazil’s real-estate market. Also, investments funds (real-estate-focused funds and private equity funds) have been increasing in the recent years. The mix of financial instruments, such as funds, is especially interesting, as it indicates a change in the mindsets of real-estate investors, which are no longer attached to the property title of ‘ownership’. Are there are any significant differences if the transaction involves a privately held real-estate owning entity? The main difference to be considered in a transaction involving a privately held entity that owns real estate versus a transaction involving a publicly held company is that publicly held companies and investment funds are subject to the rules of the Securities and Exchange Commission of Brazil (CVM), and must follow procedures, in particular for corporate governance and the disclosure of information for transparency purposes. Describe the process by which public and private real-estate business combinations are typically initiated, negotiated and completed. post-closing procedures (ie, registering acts and documentation before the relevant authorities, such as the Real Estate Registry Offices, INCRA and the Board of Trade). What are some of the primary laws and regulations governing or implicated in real-estate business combinations? Are there any specific regulations or laws governing transfers of real estate that would be material in a typical transaction? the Corporate Law (Law No. 6,404 of 15 December 1976). the Law No. 6,634 of 2 May 1979 (if the real-estate asset is located in the border zone - see question 5). Finally, it is important to mention that listed companies on the Brazilian stock market and investment funds must comply with the rules provided by the CVM. Specific accounting and auditing rules may apply depending on the structure chosen for a real-estate business combination transaction. Are there any specific material regulations or structuring considerations relating to cross-border real-estate business combinations or foreign investors acquiring an interest in a real-estate business entity? A foreign investor or acquirer must open a local subsidiary company to be entitled to invest in real-estate assets directly or indirectly as a cross-border transaction. The entities most used as vehicles for acquisition operations in the Brazilian real-estate market are limited liability companies and corporations. 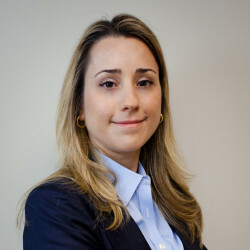 In addition, foreign investors must pay close attention to the regulations of the Brazilian Central Bank regarding the entry, registration and exit of foreign capital, as well as to applicable limitations on the participation of foreign investment in specific activities or industries, including those related to real estate. Moreover, foreigners may acquire urban real-estate properties in Brazil under the same conditions that apply to Brazilian citizens (or foreigners with permanent visas) and companies. However, specific conditions may apply when the real-estate property to be acquired is located in a rural zone, near to the Brazilian coast or borders, or with respect to specific regions designated as areas of national security, regardless of it being a real estate or a corporate transaction. In these cases, any business combination is subject to specific regulations issued by competent authorities, such as the INCRA, the Ministry of Agriculture or the National Security Council. The necessary approvals will observe specific procedures determined by each of the competent authorities. Due to this, during the process of structuring the transaction, the structure must be reviewed to ascertain the approvals required and compliance with legal restrictions that may apply. What territory’s law typically governs the definitive agreements in the context of real-estate business combinations? Which courts typically have subject-matter jurisdiction over a real-estate-related business combination? Brazilian law governs transactions that take place in Brazil. However, the parties may choose the court or arbitration chamber for dispute resolution. Nevertheless, the courts where the real estate is located have jurisdiction over disputes or matters related to the real estate. What information must be publicly disclosed in a public-company real-estate business combination? Brazilian law determines that all relevant information on business combinations related to public companies should be fully disclosed to the market. the determination of the investors to exercise any rights held by the holder of securities issued by the company. The scope of the disclosure and its proceeding is not related to the structure used or the overall size of the transaction, but that a public company is involved in the transaction, since a listed company is subject to CVM regulation. Give an overview of the material duties, if any, of the directors and officers of a public company towards shareholders in connection with a real-estate business combination. Do controlling shareholders have any similar duties? The directors and officers of a company have duties in a business combination (real-estate-related or not) as well as in regular business activities. The managers must provide information and act with loyalty and good faith, in favour of the best interests of the company and its stakeholders, exercising the attributions that are conferred by law and by-laws regarding diligence, refraining from intervening in situations involving conflicts of interests and for public companies to meet the duty of disclosure of information. According to the Brazilian Civil Code and Brazilian Corporation Law, the officers of a company should act, according to their corporate by-laws, on behalf of the company and provide compensation with their own assets for damage caused by officers to the company in violation of their fiduciary duty provided for in law or in company’s by-laws, particularly in the event that such misconduct benefitted officers or third parties (related or not) and was detrimental to the interests of the company. The Brazilian Civil Code and Brazilian Corporation Law set forth rules regarding conflicts of interest and abuses of control to avoid shareholders acting against the company’s best interest. Therefore, the shareholders and, especially, the controlling shareholders, also have fiduciary duties towards the company. These rules establish that shareholders must never place personal interests above the company’s best interests. If a shareholder’s acts, for any reason, jeopardise the company, the shareholder will have to compensate the company with their personal assets. In addition, officers and controlling shareholders of a public company must immediately notify the CVM and disclose to the market, any deliberation of the general meeting or of the company’s management bodies, or material fact, occurring in its business, that may influence the decision of market investors to sell or to buy securities issued by the company. Prior to the disclosure of any material information to the market, directors and controlling shareholders must observe the rules of secrecy and non-trading of shares, pursuant to Instruction CVM 358/2002. What rights do shareholders have in a public-company real-estate business combination? Can parties structure around shareholder dissent or rejection of a real-estate business combination, and what structures are available? Shareholders have approval rights over a business combination. The business combination of a company (whether real-estate-related or public) most be approved by the shareholders in a shareholders’ meeting, according to the quorum established in the company’s by-laws and observing the Corporate Law’s provisions. In addition, the Corporate Law gives minority shareholders with voting rights tag-along rights, also known as the ‘joint right to withdraw’, in the sale of control of publicly held company. The mechanism that enables the socialisation of the control premium is a public offer. After acquiring the shares of the controlling block, the acquirer must register an offer with the CVM in order to buy the shares owned by minority shareholders holding shares with voting rights. The minority shareholders have the right to follow the controlling shareholder, receiving a price similar to the one paid by the controlling shareholder for their shares. inclusion of an arbitration clause. Once a business combination is structured, it must take into consideration the rights of minority shareholders and all necessary approvals and procedures to be followed to satisfactory complete a transaction. Finally, shareholders are granted a fair price in a going-private transaction. Are termination fees typical in a real-estate business combination, and what is their typical size? the occurrence of an unforeseen event since the execution of the definitive documentation. These provisions, if triggered, can also result in the payment of a termination fee or a penalty clause that are intended to compensate the innocent party for the loss and damage suffered, and at the same time discourage non-compliance with the terms of the agreement for the perfection of a deal. According to the Brazilian Civil Code, penalty clauses and termination fees may be freely established between the parties, but are limited to the total price of the transaction, as provided for in the contract. Notwithstanding, the court may reduce the fine if it is considered excessive, taking into account the particular circumstances of each transaction. Are there any methods that targets in a real-estate business combination can employ to protect against an unsolicited acquisition? Are there any limitations on these methods? An unsolicited proposal only takes place in public companies with a high number of liquid shares in the market that allow a third party or a shareholder to acquire control of the company by purchasing the shares of non-controlling shareholders and without consulting its managers. In Brazil, one of the ways to avoid the hostile offer is the obligation to make a public offering of shares, which applies in specific situations. According to the Corporate Law, any interested third party or shareholder that reaches a certain amount of shares must, within the period stipulated in the company’s by-laws, request the registration of a public offer for acquisition of shares (OPA) held by the other shareholders at a determined price, that is higher than the regular market price. This kind of ‘poison pill’ by-law is common in the Brazilian market. How much advance notice must a public target give its shareholders in connection with approving a real-estate business combination, and what factors inform this analysis? How is shareholder approval typically sought in this context? The managers and consultants of the company must provide any information that is needed in the meeting. The shareholders of a public held company may request an extension of the term to 30 days from the CVM, prior to the extraordinary meeting. What are some of the typical tax issues involved in real-estate business combinations and to what extent do these typically drive structuring considerations? Are there certain considerations that stem from the tax status of a target? Tax issues are an essential aspect to be considered whenever an operation is being structured. It is important to mention that even when the seller is responsible for the payment of some taxes in a business combination, this amount is always considered in the price definition, so it is important that both parties collaborate in seeking the best possible structure in terms of fiscal planning. Also, another point of note for the acquirer will be the existing tax liabilities and foreclosures, since the acquirer is liable for the tax debts related to the assets or to the real estate related to a transaction, if the seller is party to pending tax foreclosures, or if it has not honoured past tax payment and ancillary tax obligations. The situation is even more delicate if, with the closing of the transaction, the selling party simply ends its business activities. federal income tax regimes applicable to the target company - presumed profit system versus the actual income tax. What measures are normally taken to mitigate typical tax risks in a real-estate business combination? Due diligence is essential to evaluate existing taxes liabilities (eg, tax foreclosure, administrative tax proceedings and tax contingencies) related to the asset or sellers, and to evaluate the alternatives to mitigate the risks involved, (eg, advance payments of debts, escrow accounts and price discounts, among others). Tax foreclosure may, at the worst case scenario, prevent the perfection of a real-estate transaction, in special if the assets are attached or enrolled before Federal Revenue Services as a guarantee for tax debts of the seller. In addition to the existing liabilities, it is also important to carry out a tax analysis, to review all potential structures in relation to the best tax alternative, considering all applicable taxes related to the operation and their impact in the price. Brazil has a very complex tax system that is a challenge for companies to deal with. However, with regard to tax alternatives, it is important to note that the Brazilian tax authorities are especially attentive regarding corporate structures pursuing business combinations with the sole and exclusive purpose of avoiding the payment of taxes. In this sense, the tax authority will consider not only the form, but also the essence of the corporate structure implemented for the business transaction, since the chosen structure must have a justifiable economic substance for the business, regardless of the tax gain arising therefrom. What form of acquisition vehicle is typically used in connection with a real-estate business combination, and does the form vary depending on structuring alternatives or structure of the target company? Depending on the structure, the acquirer may have some tax benefits and legal protections. What issues typically face boards of real-estate public companies considering a take-private transaction? Do these considerations vary according to the structure of the target? authorising the sale or purchase assets. The board of directors is a deliberative collegiate body and, therefore, the liability is invariably attributable to all members, save if the dissident records his or her disagreement in the minutes. regularity of all legal procedures and authorisations required for the transaction. For safeguarding purposes, real-estate public companies usually utilise technical appraisals, financial advice and legal due diligence carried out by independent consultants. How long do take-private transactions typically take in the context of a public real-estate business? What are the major milestones in this process? What factors could expedite or extend the process? For a company to go private, the controlling shareholder or the company itself must hold an OPA, through which the minority shareholders’ shares will be purchased, guaranteeing the offeror a greater stake in the company. the OPA public auction on the Brazilian Stock Exchange. Also, it is important to mention that each listing segment has its own corporate governance rules and every listed company must comply with the relevant regulations in each case. The closing of the capital shall be expressly accepted or approved by more at least two-thirds plus one of the shares held by the shareholders that expressly agreed to the cancellation of registration or have been qualified to participate in the tender offer auction. Omitted shareholders do not count for the purpose of a quorum of those quoted. Once the auction has been carried out and the minimum number of adhesions obtained, within 15 days a deposit equal to the value of those shares of shareholders that accepted the offer that were sold must be made. Are non-binding preliminary agreements before the execution of a definitive agreement typical in real-estate- business combinations, and does this depend on the ownership structure of the target? Can such non-binding agreements be judicially enforced? In Brazil, it is common to have preliminary agreements in a real-estate business combination. This could be an MoU, a letter of intention or a term sheet. Preliminary agreements are commonly used by the parties to establish purchase and sale conditions. Even though such agreements are usually intended to be non-binding, they usually contain binding provisions (eg, confidentiality, exclusivity, responsibility for expenses and dispute resolution). Pursuant to the Brazilian Civil Code provisions, a preliminary agreement is binding on the parties strictly to the limits of its content. Depending on the related parties, the preliminary agreements can trigger the filling of the transaction for the approval of CADE. Except for binding provisions contained within them, non-binding agreements cannot be judicially enforced. Normally, preliminary agreements are not subject to specific performance, in the sense the obligations deriving from a future transaction are not (partially or totally) perfected, and the termination of the preliminary agreements should reinstate parties to the status quo ante. Losses deriving from the breach of a preliminary agreement shall be subject to an indemnification lawsuit, as the case may be. Describe some of the provisions contained in a purchase agreement that are specific to real-estate business combinations? Describe any standard provisions that are contained in such agreements. Based on the findings made during the due diligence and the negotiations of the parties, it is common in a real-estate transaction for some procedures related to the regularisation of the property’s title and the fulfilment of environmental aspects to be addressed before closing as a precedent condition. The purchase and sale agreement shall establish the conditions, procedure and term for the transfer of the possession of the property. The financial aspects of the purchase and sale agreement must be stated clearly and in detail (eg, price, instalments, price adjustments, applicable interest, escrow account, etc) and linked to the transfer of ownership rights and procedures before the relevant real estate registry office. In a real-estate transaction liability is commonly related to clean title, liens and encumbrances, insufficiency of assets, environmental liabilities, zoning rules and regulatory approvals. Termination provisions establish the situations in which parties may terminate the agreement and, if applicable, the relevant penalties. One of the standard provisions establishes the responsibility for brokers’ fees and payment of taxes levied over related assets, prior to and after closing of the transaction. Responsibility of sellers in the event of the real estate being lost to a third party by a judicial decision. Are there any limitations on a buyer’s ability to gradually acquire an interest in a public company in the context of a real-estate business combination? Are these limitations typically built into organisational documents or inherent in applicable state or regulatory related regimes? As mentioned in question 11, one of the ways to avoid the hostile offer is the obligation to make a public offering of shares. Also, the shareholders’ agreement may provide for limitations on the acquisition of shares with voting rights, capitalisation of loans and non-compete clauses, among other restrictions. Describe some of the key issues that typically arise between a seller and a buyer when negotiating the purchase agreement for a real-estate business combination, with an emphasis on building in certainty of closing? How are these issues typically resolved? These issues are usually solved by covenants, representation and warranties, closing conditions, guarantees, indemnification and penalties that shall motivate parties to close the deal, or agreements in which the potential costs of the dead deal shall be borne by the party that decided to walk away from the transaction. Who typically bears responsibility for environmental remediation following the closing of a real-estate business combination? What contractual provisions regarding environmental liability do parties usually agree? Environmental liability consists of administrative, civil and criminal liability. These are independent and can be applied cumulatively. Environmental civil liability to remediate environmental damages is joint, several and strict. In this sense, regardless of the fault, negligence or wilful misconduct of a party, the owners or legal possessor, or by virtue of their activity at a given site those who facilitate or contribute to the occurrence of damages (ie, contamination) are liable for the recovery of such damages. The seller, buyer or occupants of the real estate are jointly and strictly liable for carrying out the remediation, regardless of who is responsible for the damage. It is also important to have the seller’s R&Ws state its compliance to environmental laws, so as to assure the right of the buyer to seek recovery from the seller for any environmental liability and costs as the case may be. Under Brazilian law, clean-up obligations, such as remediation, are not subject to a statute of limitations. With regards to administrative environmental liability, parties are liable for their real estate activities. Environmental authorities may assess and fine current or past owners or possessors for environmental administrative liabilities arising from past or current activities at such property. However, the majority of case law provides for five-year statutes of limitation for the environmental authorities to collect environmental penalties, which shall be paid by the actual pollutant (not prevailing on the administrative environmental liability ‘polluter pays’ doctrine). Criminal liability depends on the causal connection between the criminal conduct and the agent. What other liability issues are typically major points of negotiation in the context of a real-estate business combination? lack of licences and permits. In the context of a real-estate business combination, what are the typical representations and covenants made by a seller regarding existing and new leases? no new leases are executed without the buyer’s prior approval. Describe the legal due diligence required in the context of a real-estate business combination and any due diligence specific to a real-estate business combination. What specialists are typically involved and at what point in the transaction are the various teams typically brought in? establish legal risks and liabilities arising from the judicial and administrative proceedings. litigation (eg, tax, labour, social security and civil). real-estate consulting firms - to proceed with an appraisal of the area as to define its market value and evaluate its technical aspects, such as status of the construction and required permits (ie, municipal operation permits, zoning and fire department inspections). environmental consultants - assess environmental compliance, considering the legislation in force and potential or material liabilities. How are title, lien, bankruptcy, litigation and tax searches typically conducted? On what levels are these searches typically run? What protection from bad title is available to buyers and does this depend on the nature of the underlying asset? A due diligence procedure shall encompass the assets, owners and title holder, legal possessor and former owners. Do sellers of non-public real-estate businesses typically purchase representation and warranty insurance to cover post-closing liability? The purchase of R&W insurance to cover post-closing liabilities is not usual practised by real-estate businesses in Brazil, even given the cost of insurance and the uncertainty of the risks’ maturity period. However, it is common to withhold, in full or in part, the price of an escrow account or other similar instrument, the release of which would be subject of the compliance of conditions or the non-existence of contingent liabilities during a certain period of time. The consideration can be paid in a lump sum or in instalments. In the case of payment in instalments, parties may establish mechanisms that allow offsetting of indemnity claims against future payments. What are some of the primary agreements that the legal teams customarily review in the context of a real-estate business combination, and does the scope vary with the structure of the transaction? procedures in the event of transfer of control (share transaction) or ownership. It is important to bear in mind that urban and rural lease arrangements are ruled by specific laws. There are provisions of the law that cannot be waived by the parties. Therefore, in spite of specific written agreements, legal provisions shall always prevail. Notwithstanding, some lease arrangements are not governed by such laws (ie, built-to-suit, shops and stores), in which case the written agreement shall prevail. What are the typical remedies for breach of a contract in the context of a real-estate business combination, and do they vary with the ownership of target or the structure of the transaction? Also, the Civil Code provides for loss and damage remedies in any circumstance in which the agreement is silent in connection with consequences of a breach of contract, which depends on full evidence of such losses and damages (material, loss of profit, loss of opportunity and punitive moral damages). How does a buyer typically finance real-estate business combinations? securities from capital market, especially the securitisation and public offering of certificate of real-estate receivables (CRI). Different types of instruments can be combined to structure complex financial operations, such as a sale and leaseback agreement with securitisation of the rental credit. A creditor may also structure a transaction in order to have the payment of the debt, resulting from other real estate or financial agreements deriving therefrom. Banks are also working in different structures and products in order to have a mix of credit and asset transactions in deleveraging transactions. What are the typical obligations of the seller in the financing? Usually the seller must only cooperate with the buyer in the obtaining of financing in good faith, undertaking to execute and present documentation of the property and seller (as the case may be). What repayment guarantees do lenders typically require in the context of a property-level financing of a real-estate business combination? For what purposes are reserves usually required in the context of property-level indebtedness? In the real-estate market, the property is usually used as collateral in the financing process. It could affect the ownership of the property or even the receivables originated by such real estate in related agreements. The following are the most common guarantees. The owner or borrower transfers the ownership of a real-estate property to the lender to guarantee the payment of the debt, and the borrower remains in direct possession of the property. In practice, the borrower continues to use the property that no longer belongs to him. Once the debt is repaid, the debtor automatically becomes the owner of the property. In the event of default, the lender (ie, the holder of the ownership of the property can sell property by means of the extra­judicial foreclosure procedure). In case of default, the lender must foreclosure the guarantee though a judicial procedure. Pledge of receivables such as rentals, sales revenues and agricultural production, among others. Commodities or agricultural products related to the target asset. In addition, there are some insurance policies that may be used for the repayment of specific obligations. Usually reserves are required for taxes, notarisation and registration fees and insurance, or, for compliance with payment obligations related to the asset undertaken prior to the closing date (ie, a tax debt refinancing programme). What covenants do lenders usually insist on in the context of a property-level financing of a real-estate business combination? interest cover and debt service cover covenants that can be stipulated on either an actual (look-back) or a projected (look-forward) basis. What equity financing provisions are common in a transaction involving a real-estate business that is being taken private? Does it depend on the structure of the buyer? proof of buyer’s technical and economic-financial capacity to carry out the project. These provisions are related not to the structure of the buyer, but to the transaction itself and the legal requirements to be achieved, especially in a state-owned company. In this case, it is also common for the newly acquired company’s cash flow to be compromised to pay off the debt. Are real-estate investment trusts (REITs) that have tax-saving advantages available? Are there particular legal considerations that shape the formation and activities of REITs? REITs do not exist in Brazil. The Brazilian FII has similarities to the American REIT and its purpose is exclusively for real-estate projects. FIIs are groups of investors, managed by financial institutions and audited by the CVM. Funds raised from the sale of quotas may be used for the acquisition of rural or urban real estate, constructed or under construction, for commercial or residential purposes, as well as for the acquisition of securities linked to the real-estate business, such as real-estate letters of credit or a CRI, shares of real-estate companies and quotas of others investment funds. Every FII has a regulation that, among other provisions, determines the fund’s investment policy, which may be specific and establish, for example, that FII only invests in commercial rental properties, or it may be generic and allow the fund to invest in different real-estate sectors. With the acquisition of real estate, the fund will obtain income from its lease or sale. If it applies to securities, the income will originate from the income distributed by these assets or the capital gain. The equity of the FII is divided into quotas that can be traded on regulated securities markets, observing the CVM’s rules. Are there particular legal considerations that shape the formation and activities of real-estate-focused private equity funds? Does this vary depending on the target assets or investors? There are two types of investment funds commonly used in Brazil to invest in the real estate market: FIIs (see question 35) and private equity funds (FIPs). A FIP is a pool of resources intended for investment in publicly held companies, closed companies or limited liability companies, that is managed by financial institutions and audited by the CVM. Although a FIP cannot directly hold real-estate assets, it may invest in real-estate companies. DDSA - De Luca, Derenusson, Schuttoff and Azevedo Advogados is a full-service law firm acting in the main areas of practice, representing both local and international clients in a wide range of economic sectors.